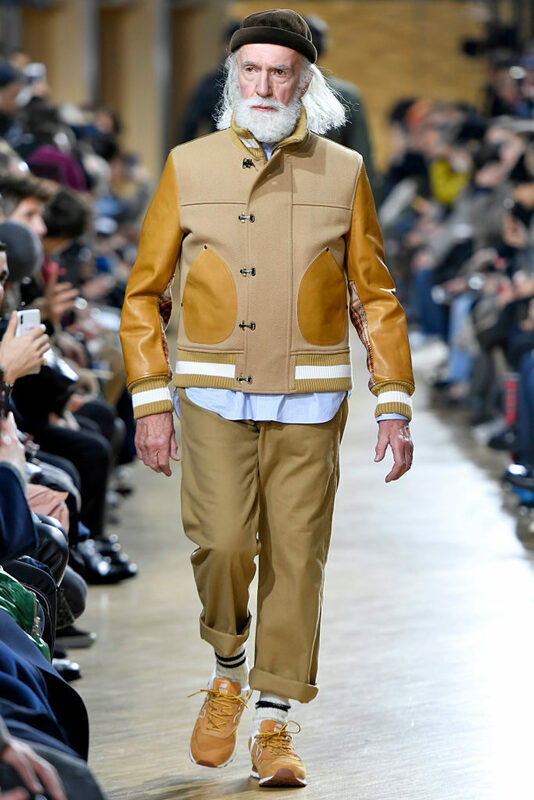 As the fall 2019 menswear Fashion Week came to an end in Paris last week, one particular—and highly influential—show featured the unlikely style species: the older gentleman, rarely seen on the runways of fashion’s capital. Junya Watanabe, renown for his avant-garde designs, had a cast of middle-aged men in his runway show, aptly called, ‘Silver Swagger.’ His models – sporting grey beards, silver hair, character lines on their faces, some with even slightly doughy waistlines—were a stark contrast to the concave-chested, sullen faced, skinny teenage boys who usually strut the runways today. Why this particular show—in a fashion week which features such heavy hitters as Dior and Louis Vuitton—had the fashion corps sitting up and taking notice, is the heavy influence Watanabe wields. The industry pays close attention to anything this designer does. His conceptual designs often force one to rethink or look at clothes in a new manner. He is the rare creator who will experiment with cutting, reworking and fashioning a garment in a completely new and never-been-seen manner. The conceit of his fall 2019 collection was he not only had a cast of daddies and grandfatherly types but he seemed to also embraced those traditional items men their age would have in their wardrobe—denim, corduroy, army surplus and office wear. Except upon closer inspection, he took these menswear staples and reworked it in a non-traditional way; those office blazers would have sleeves of a knit sweater or a denim jacket. Or a single blazer would be a patchwork quilt of fabrics including tweed, velvet and knits. A model walks the runway during the Junya Watanabe Man Menswear Fall/Winter 2019-2020 show as part of Paris Fashion Week. As he told the industry trade publication, Business of Fashion, “I designed this collection thinking of people of my generation or older.” So if Watanabe is espousing a hipster style of the mature male, will the fashion industry follow? After all, some of the titans in menswear are around his age, if not older. Giorgio Armani, 84; Paul Smith, 72; Tom Ford, 57 and Ralph Lauren, 79, who just celebrated a half century in the business—all design some of the most luxurious clothing coveted by captains-of-industry and assorted billionaires. But it is rare to see a seasoned gent on their runways or advertising campaigns. Yet, there is a pack of silver foxes enjoying the limelight in other industries. Aging action stars such as Bruce Willis, 63, along with Clint Eastwood, 88, are still lighting up the silver screens and currently have movies in theatres. Not to mention, the various aging rockers who are still packing the stadiums. 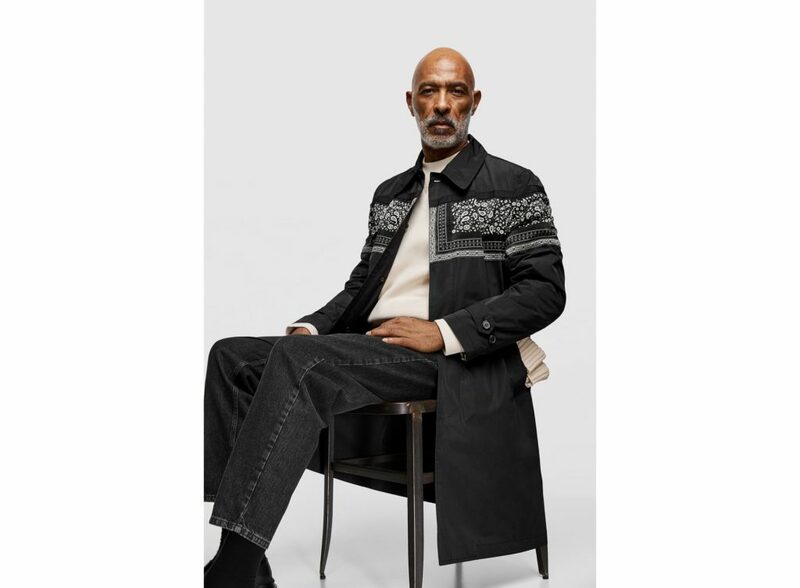 While the menswear have been slow to ackowledge the existence of the older male, their counterpart, womenswear, in the past few seasons have been embracing older women in their runway shows, magazine covers and advertising campaigns. Lauren Hutton, 75, a few seasons ago was not only featured on the cover of Italian Vogue but starred in a Calvin Klein ad, for underwear, no less. Maye Musk, 70, model and mother of Tesla founder, Elon Musk, recently became a face of Covergirl. Luxury brands like Celine have tapped 80 year old author Joan Didion for a campaign while Saint Laurent featured Joni Mitchell in one of their ads. But perhaps, this is the beginnings of a change in the fashion climate and the silver fox just might get his due in the style spotlight. 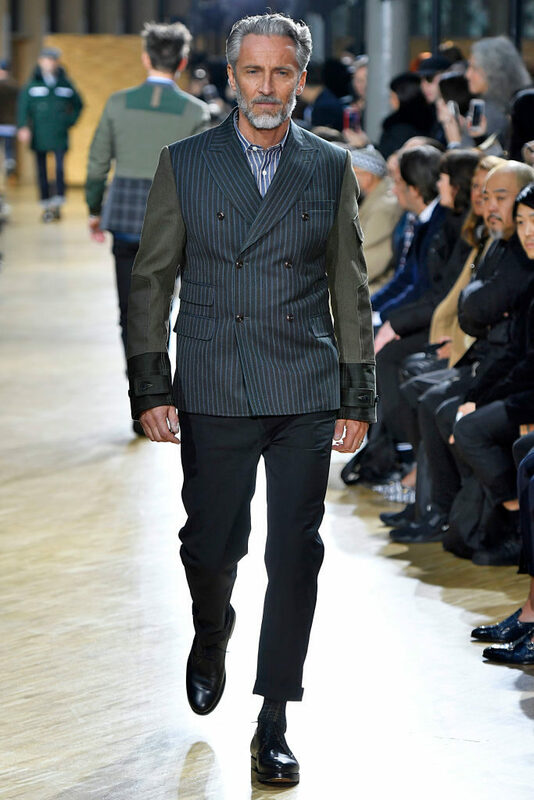 Berluti was another show during Paris fashion week which featured one or two older male models in their lineup. 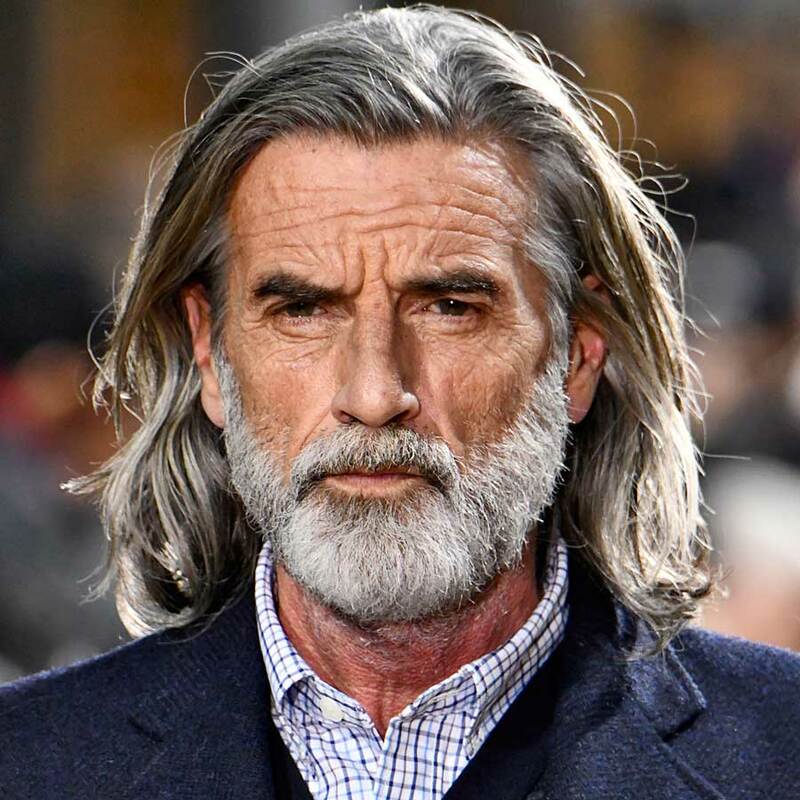 And Zara, the behemoth fast fashion retailer and purveyor of the latest fashion trends, have interspersed an older male model on their e-commerce site, perhaps quietly acknowledging, older men are interested in looking good too.